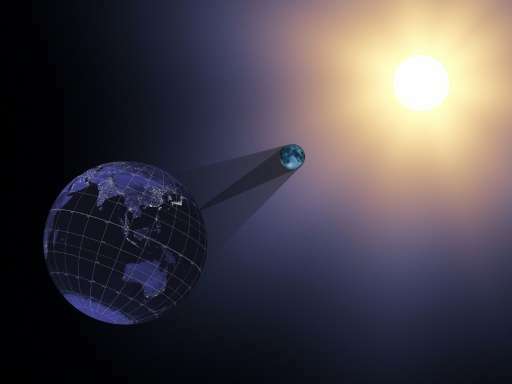 During the eclipse on August 21—the first of its kind since 1918—the moon will pass between the sun and Earth, casting a dark shadow and making visible the sun's normally obscured atmosphere, or solar corona, as well as bright stars and planets. "Never before will a celestial event be viewed by so many and explored from so many vantage points—from space, from the air, and from the ground," said Thomas Zurbuchen, associate administrator of NASA's Science Mission Directorate in Washington. The only method to safely observe a partially eclipsed sun is with eclipse glasses or handheld solar viewers, the US space agency said—ordinary sunglasses are not enough. Reservations for campgrounds in Oregon were completely sold out within 12 hours of becoming available. Hotels are sold out on the route. Shylocks are selling Chinese-made cardboard eclipse viewing glasses worth $1.00 for $50 a pair. Got a nice room in Jackson Hole, Wyoming, but the going rate was 3X normal for minimum 3 night stay. I put down a $1,000 deposit and the hotel sent me certificate that looks good enough for framing! Seems like a bit much to me. Let's just hope the weather holds up the morning of August 21st. Rrrander, I really worry about people being unprepared and even fake eclipse glasses causing permanent eye damage. I am bringing along some spare eclipse glasses. I bought our eclipse glasses from a NASA-recommended company and tested them many times already, so I would know if there was a problem.